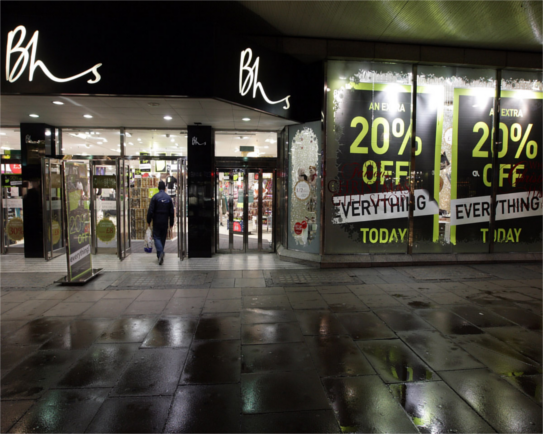 Retail Acquisitions, the former owner of the collapsed BHS, is on the point of liquidation, potentially helping investigations into the demise of the department store chain. The group, which bought BHS for £1 in 2015 and was fronted by former bankrupt Dominic Chappell, has been accused of extracting an estimated £17m from BHS despite owning it for just 13 months before it went into administration in 2016. An estimated £6m was owed by Retail Acquisitions to BHS when it collapsed. The failure of BHS led to the loss of 11,000 jobs and left a £571m pension deficit. A high-profile parliamentary investigation into its demise concluded that the company had been systematically plundered by its owners and accused Chappell of having “his fingers in the till”. The Pensions Regulator is also understood to be seeking as much as £17m via legal action against Chappell and Retail Acquisitions (RAL) in relation to the pension deficit. On Wednesday the high court heard insolvency proceedings for Retail Acquisitions, and the judge ruled it should be put into liquidation. The judgment has been temporarily stayed and is expected to be formally handed down in the next few days. The insolvency will give administrators complete financial records of RAL giving clarity on where funds taken from BHS were moved on to with a view to potentially recovering them for shareholders. Chappell said: “RAL is disappointed by the outcome of the hearing … The order has been stayed by the court until its written reasons are provided so that RAL has an opportunity to properly consider an appeal. The collapse of BHS is still being investigated by the Insolvency Service which could recommend that former directors of BHS are banned from being company directors in Britain. The Financial Reporting Council is also looking into the collapse, while the Serious Fraud Office is also considering whether to launch a formal investigation. Chappell was also arrested last year as part of an HMRC investigation into unpaid taxes on profits made from the collapsed department store chain.